Why your next roof should be a metal roof! 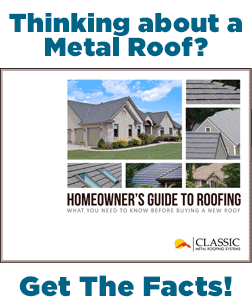 Considering a Metal Roof? Here’s a video interview we did with Angies List about Metal Roofing that really helps to explain the benefits of using metal on your home or business.